ADZPCTKO stands for Annual Day Zero Pacific Crest Trail Kick Off. It is the official kick off weekend when many thru hikers will start the 2,650mi hike from Mexico to Canada. 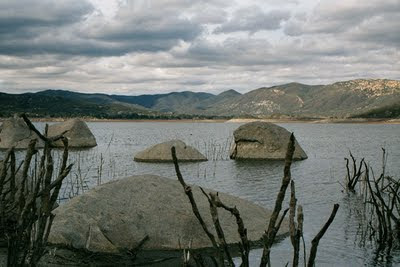 The kick off takes place just after Mile 20 on the PCT at Lake Morena in California. On Friday, I will start early at the southern terminus so that I can get to Lake Morena that night and spend all day Saturday attending the weekend events (seminars, vendors, informational meetings, and films) before I leave on Sunday to continue my quest toward Canada. For those of you worried about me going solo, I’ll have plenty of other hikers around me. Over the weekend, PCT hikers (both past and present) will gather at Lake Morena. The numbers are pretty impressive. This year, there will be 743 people attending kick off. 255 of those people plan on thru hiking the trail this year and about 1/3 of them will start their hike over kick off weekend. Hikers are preassigned campsites for the weekend and I already personally know 6 of the hikers at my campsite and my two neighboring sites. It’s pretty exciting! There is a lot of talk about the high snow year and how this generic start date is getting hikers out there too early this season. I will post more about this later this week, but my goal in going over kick off weekend is to be with “the herd.” I’m looking forward to meeting my fellow hikers and even meeting up with former hikers whose journals I’ve been following. The PCT community is so supportive and motivating. This weekend is free to all 2011 thru hikers and we will be treated to breakfast and dinner the days that I’ll be there. It will be a great way to start this journey!